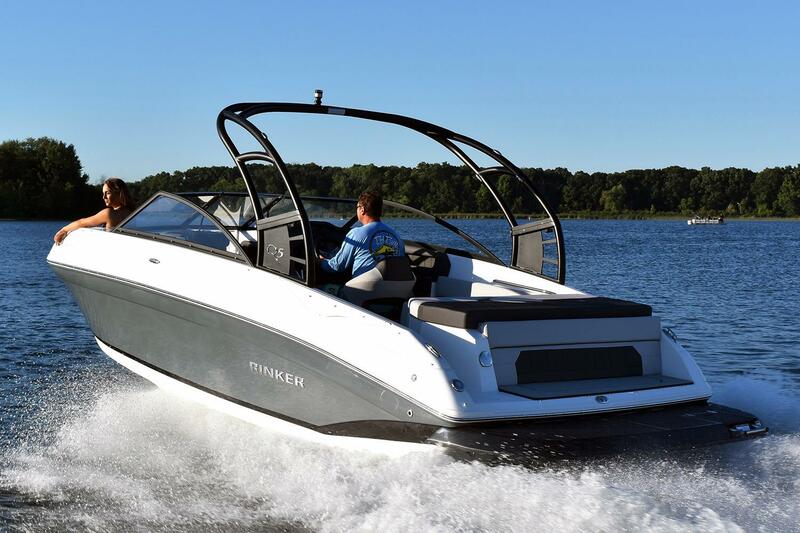 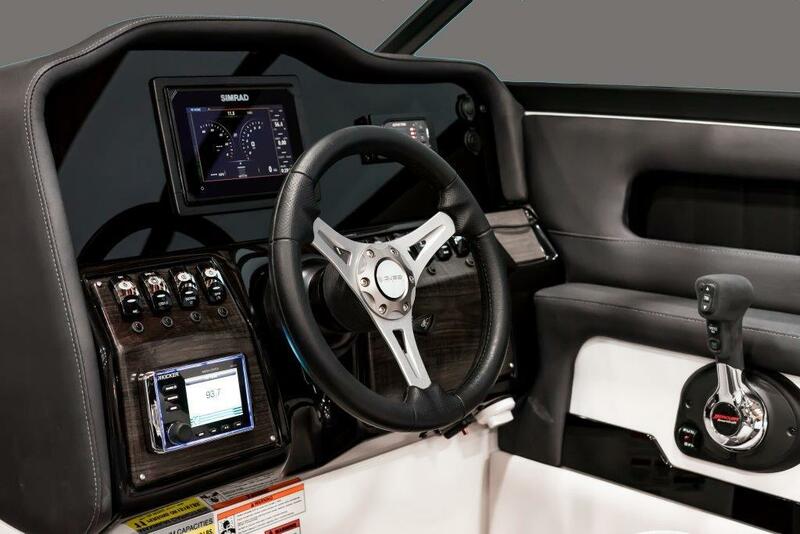 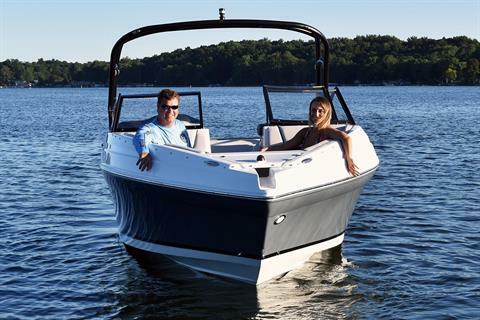 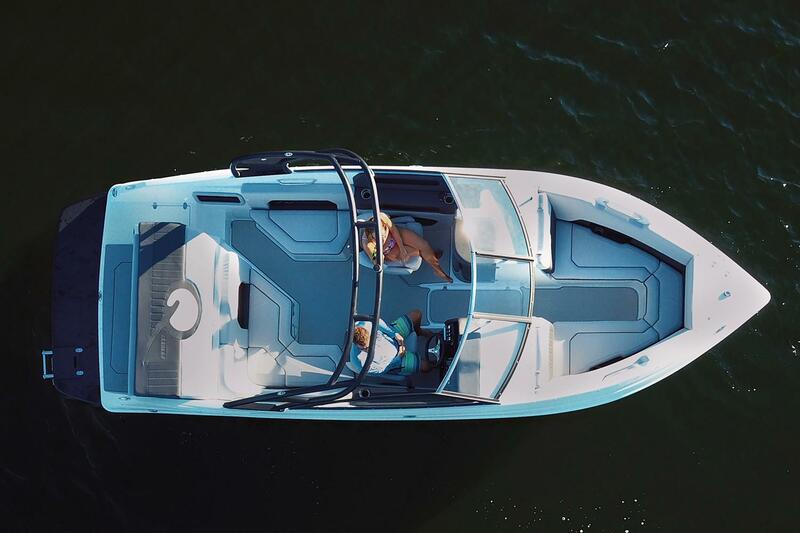 Rinker based the running surface of the Q5 on the company’s best-selling model in Rinker’s 75 year history – the Captiva 232. 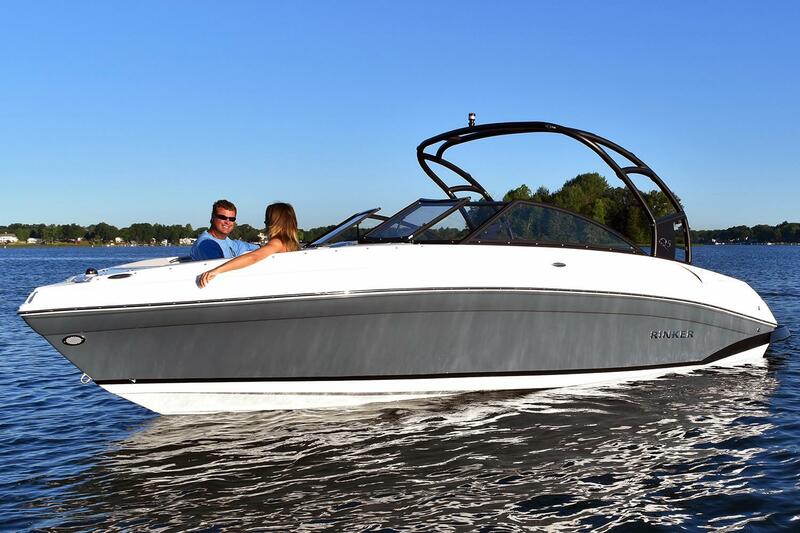 Like the rest of its Q family, the Q5 offers an open concept floor plan and a hot tub style bow. 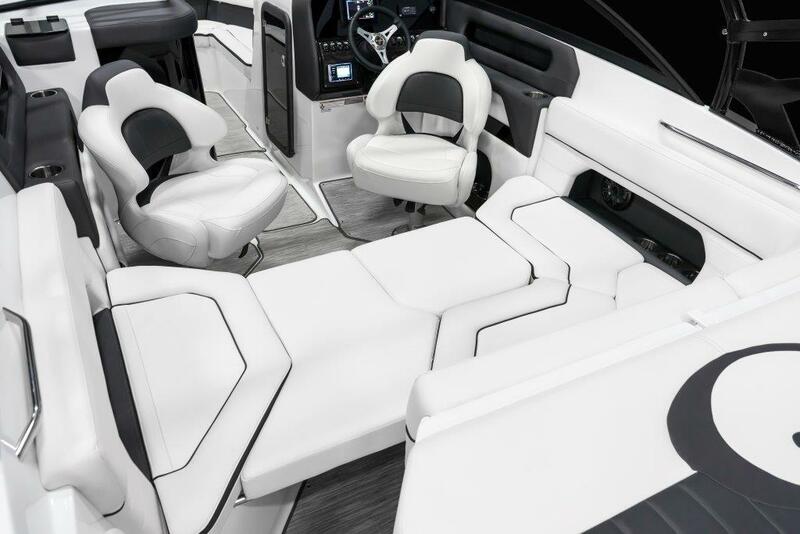 A convenient walk-through connects the back of the boat to the main seating area. 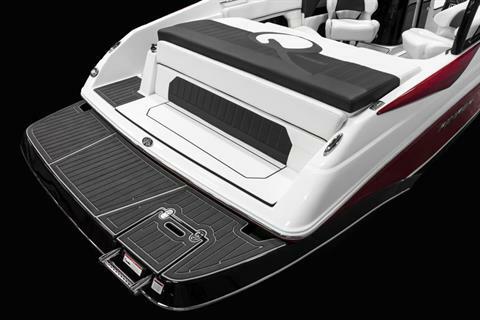 This avoids the need to crawl over the sundeck and seats to pass from one area to another. 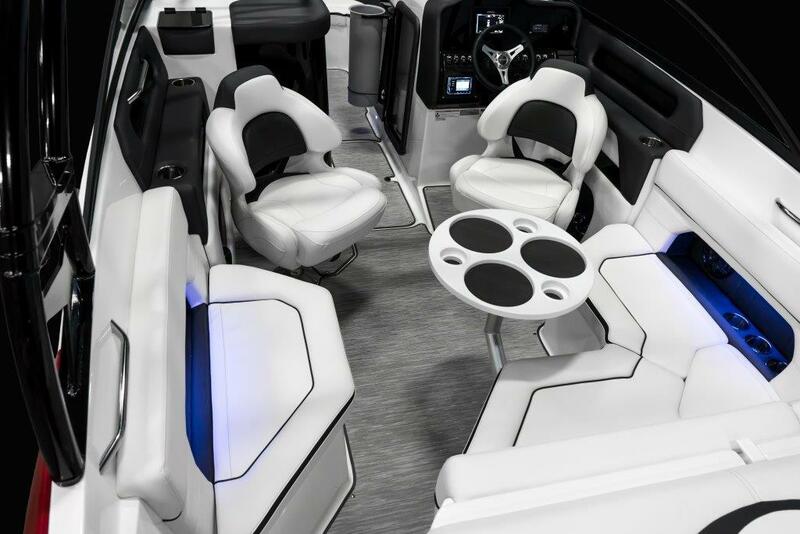 With tons of standard storage compartments, you will not need to worry about fitting all your belongings on the boat for a day out on the lake. 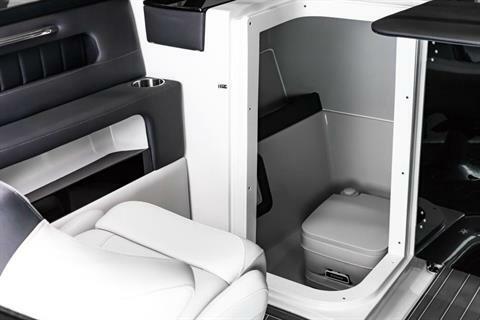 The Q5 fits 11 people, which is perfect for a large family or a group of friends. 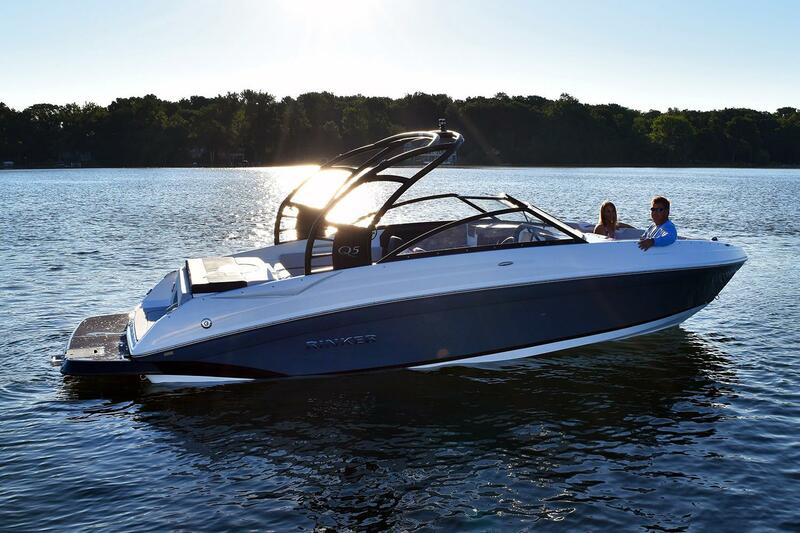 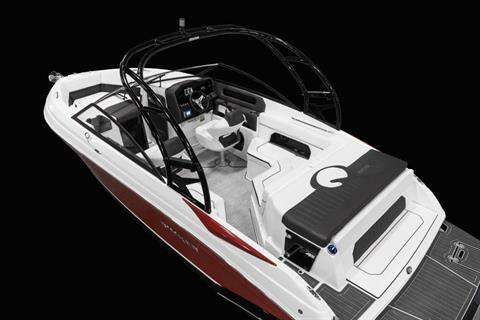 Add the available sport tower for an amazing experience practicing your moves on the skis and wakeboard. 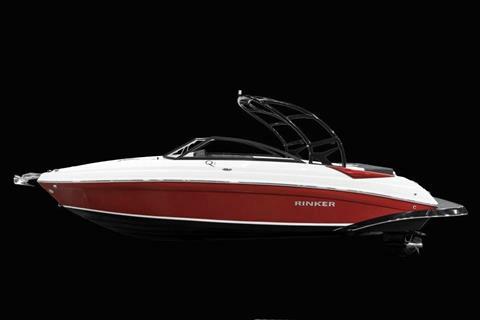 This is the perfect, fun, zippy boat for people who have a need for speed and are looking for a good time on the water.